We make many dishes using raw mango and especially on Ugadi we prepare raw mango recipes like pickles, dal and even mango rice pulihora. 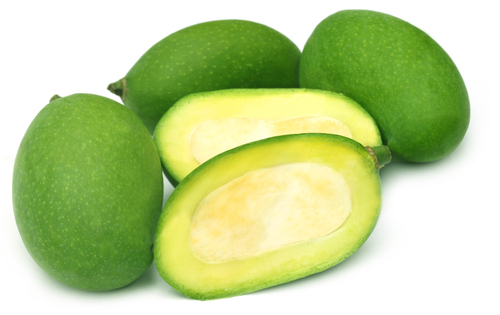 Let us check out the amazing health benefits of raw mangoes in this post. Green mango if taken in pieces sprinkled with salt cuts down dehydration and will retain the water percentage in your body. In Summer we sweat a lot and our body will lose iron and sodium chloride from out body through excess sweating. So in order to replenish our body with these chemicals, we have to eat pieces of raw mango or can consume the juice of mango. Mangoes if consumed in limited amount makes you free from indigestion, constipation and vomiting sensation.